It may seem to us that love that can be switched on and off by others to indicate approval and displeasure. This is very manipulative and many children and adults live extremely insecure lives as a result. God’s love is not like this, because He is not like that. It is vital that, as the children of God, we know that we can always rely on God’s love for us. That means that when we flounder, fail or sin He does not stalk off in a frozen huff. Instead He holds out His hand to us – to raise us up, receive our admission, convey His forgiveness and lead us forward again. 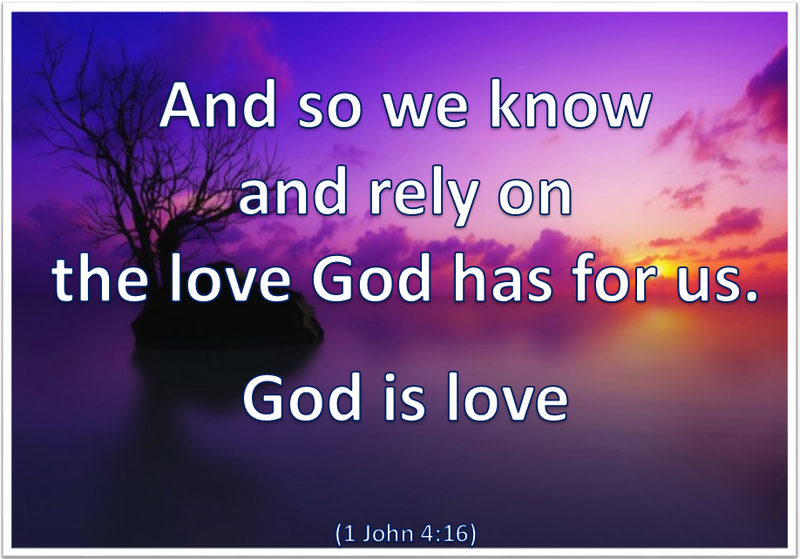 How do we get to know and rely upon this love? We cannot manufacture it for it comes only from God Himself. We will only know the love of God if the presence of God is within us. Jesus promised the Holy Spirit would come and be in us. Paul prays that “Christ may dwell in your hearts.” They are both referring to an intimate and complete relationship with God – not one in which we remain in control of our lives and treat God as a consultant or a ‘medic on call’. The less of our lives we give to God the less of His life and love we will enjoy. The more that God is allowed full access within us, and to our lives, the more He will be allowed and enabled to pour His love into us in all its fullness. At this very moment Jesus will be knocking (Rev 3:20) on the rooms in your life into which He has not had full access before. Kneel before Him, invite Him into every single part and aspect of your life, ask Him to be your Saviour and Lord in the fullest sense, and to lead you in His Way, His Truth and His Life. Then personalise Paul’s prayer above to yourself and pray it regularly. God bless you. Father help me always to remember that You are love and that You love me totally and unconditionally. Please come into every part of my life, pouring Your love into my heart, and helping me to believe, receive and live in it. Amen.